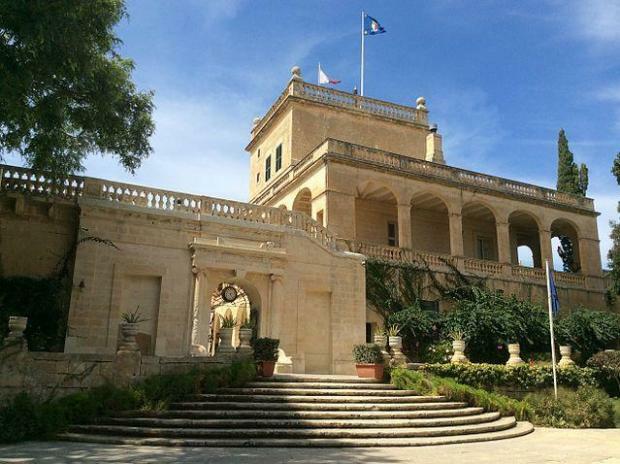 The President of Malta has been given a salary increase, backdated until January 2017. The salary is set by legal notice, and in 2014 was set at €57,693 in 2014, €59,206 in 2015, and €60,720 in 2016. The salary was then increased again by a legal notice last January, to €60,811. However, a legal notice issued on Tuesday raised it once again, this time to €61,700, with a cash payment of €478, backdated to January 2017. In a reaction, the Office of the President noted that the increase is part of a new collective agreement signed a few months ago and which affected 30,000 government employees. "The exact net increase in the President’s salary amounts to just €17 per week, afforded to all government employees at Salary Scale I," a spokesperson for the Office of the President noted. Between 2014 and 2015, and 2016 and 2016 the president's salary went up by around 2.6%. The original increase in 2017 would have meant an increase of just 1.5%. The additional €889 means an increase of 1.6% in all over the amount for 2016. Another legal notice has amended the salaries for the judiciary, setting them as €50,903 for the chief justice, €44,071 for other judges, and €37,361 for magistrates.